A reach-in closet is perfect for any space, whether you're limited or have an ample amount. With California Closets of Orange County, reach-in closet solutions are available to help you maximize your storage potential. 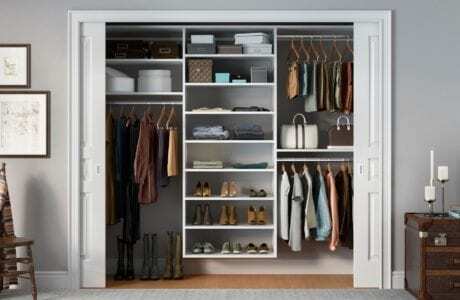 - Remove Bulky Cabinets/Shelves: Make your installations leaner for more storage potential throughout your closet. 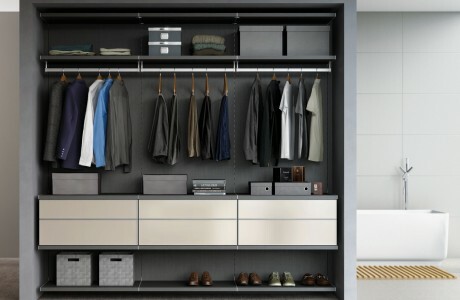 - Build Up, Not Out: Take advantage of closet height for even more interior space. 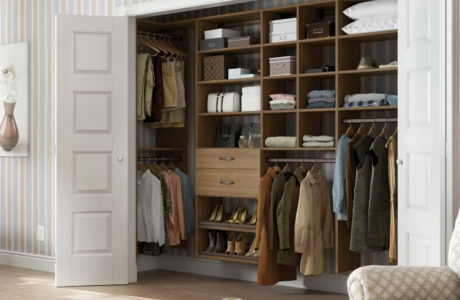 - Get a Custom Redesign: Develop a new design plan for a more efficient use of your closet space. Leave it to the experts who have been designing and building closets for nearly four decades at California Closets of Orange County. Reach-in closet designs are one of our most popular items requested. Schedule your free in-home design consultation today.